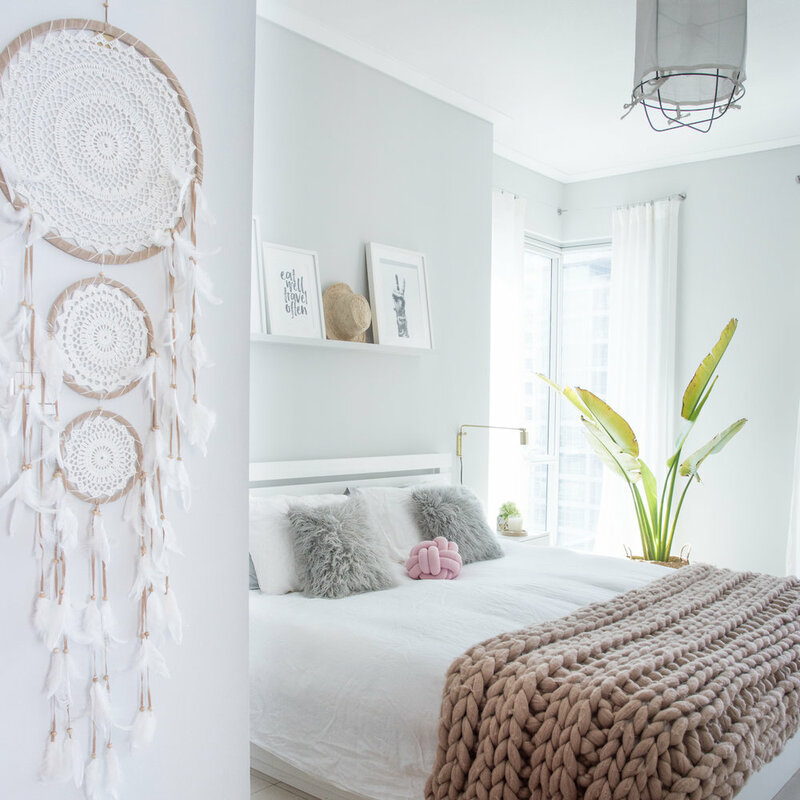 On this project, we turned down the colour saturation levels to the minimum to transform a bachelorette bedroom into a feminine, tranquil, minimalist space with a modern bohemian vibe. 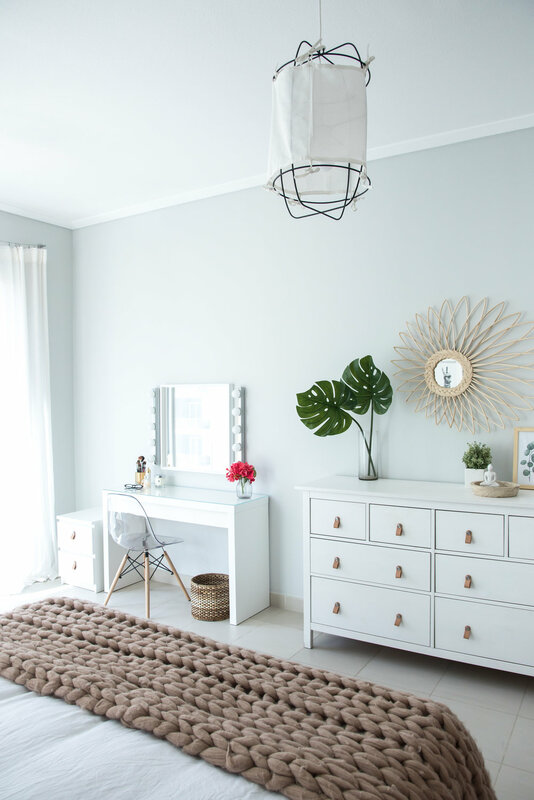 Mixing affordable pieces from IKEA and Home Centre, with statement lighting from Tribe Dubai and The Bowery Company, this bedroom is now a serene and calm space that invites its lovely owner to rest and wind down after work. 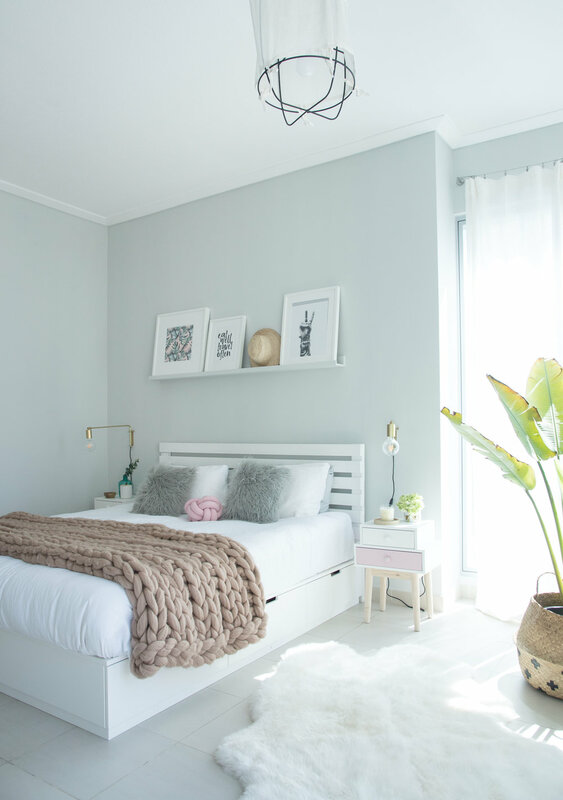 The walls were repainted in a calming shade of light grey called Pearl from Jotun, and very simple white linen cotton curtains hung using IKEA hooks and wire. 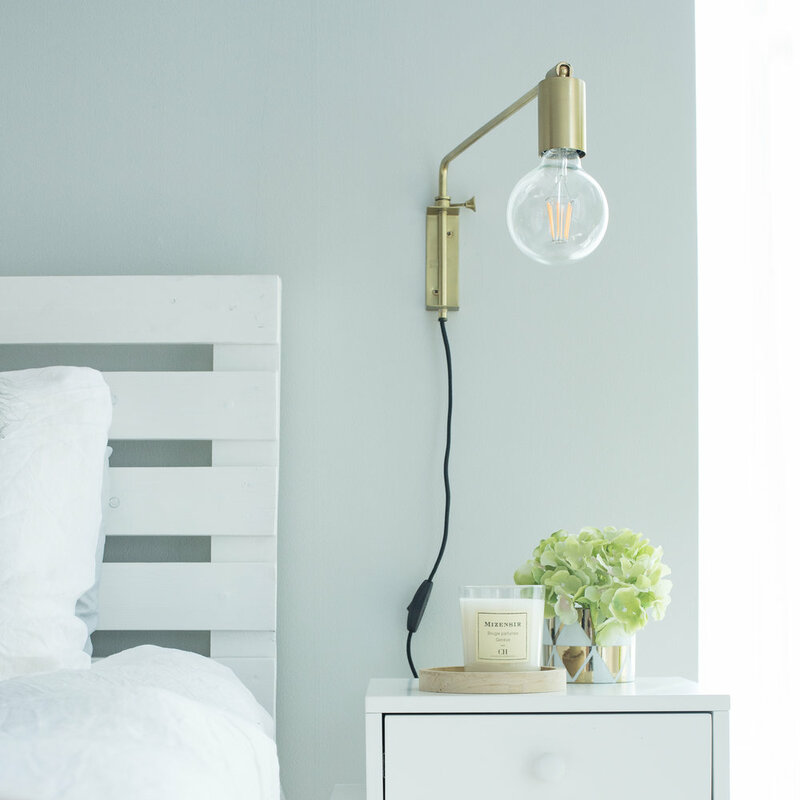 We added texture with soft furnishings from Zara Home, Home Centre and Love Joba. We kept the existing chest of drawers and gave it a new lease of life by replacing the tired knobs with tan leather handles. 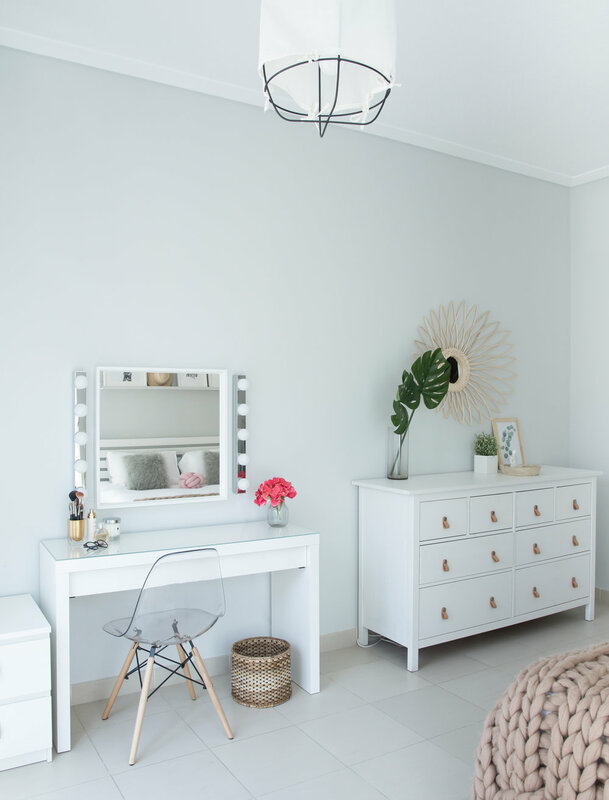 We created a lovely beauty nook using more purse-friendly goodies from IKEA and a perspex Eames repro chair from... Dubai Garden Centre! 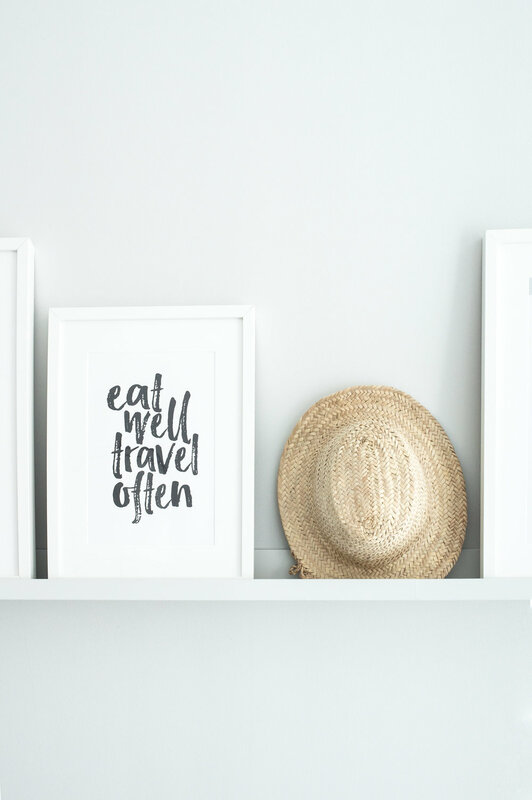 (Yes they do brilliant furniture too!) 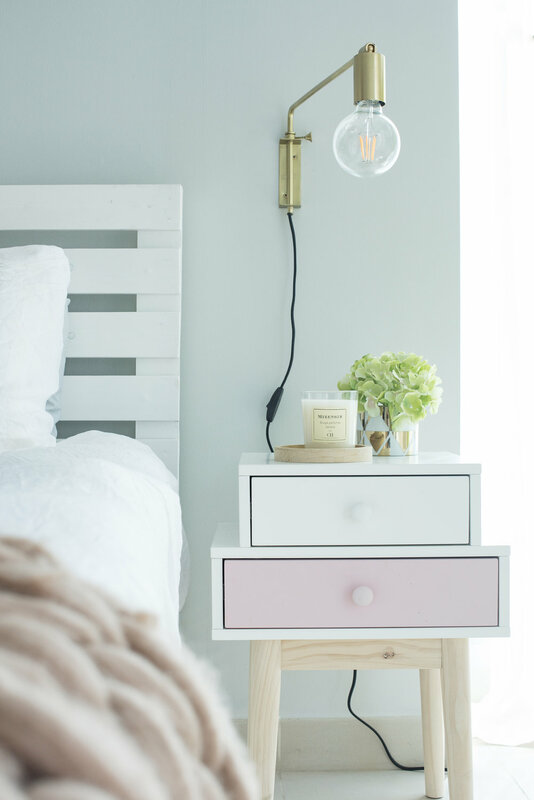 The lovely pink and white bedside tables are from Maisons du Monde and the artwork was sourced from Society 6. Et voila!